I’ve written before about the first class-turned-business class Lufthansa lounge in Frankfurt. That remains my go-to lounge every time I transit via Frankfurt. Located in Terminal 1 in the A Concourse near Gate A26, this lounge used to be a dedicated first class lounge for flights departing from the Z Gates. 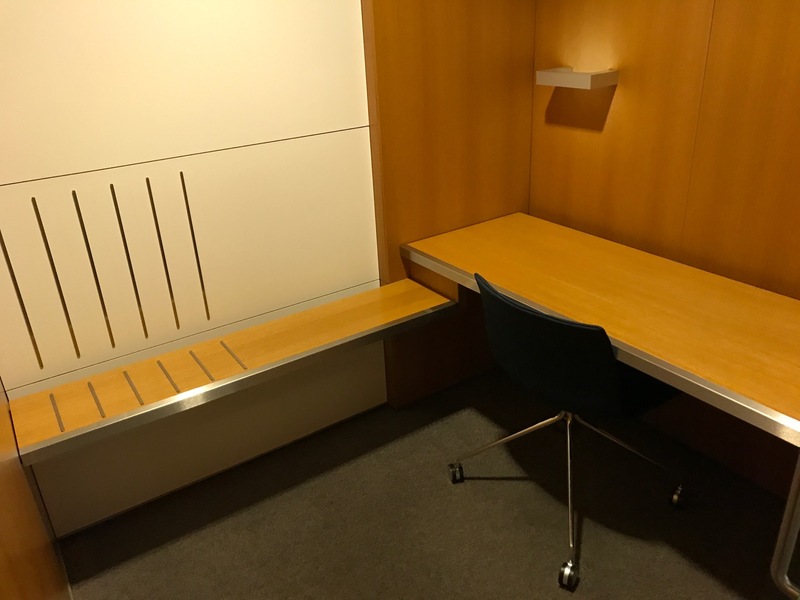 I am not sure why Lufthansa decided to change the status of this lounge, but perhaps because most longhaul first class passengers were heading directly for the First Class Terminal. In any case, this lounge still maintains some key characteristics of a first class lounge including private work areas, made-to-order coffee, and large shower suites with bathtubs. When I arrived from Frankfurt earlier this week, I headed directly to this lounge. First, I enjoyed a shower in the oversized bath-shower suite. Next, I enjoyed a superb cup of coffee. The LavAzza coffee is always freshly ground and the baristas are great at making cappuccinos. Lastly, I spent about an hour proactively working my private work space. I did not even have to whip out my European adaptor since there were already several power ports available above the desk. Even the chair is comfortable. If you are flying from Frankfurt to a Schengen destination, do check out this lounge. Access is available to Star Gold members traveling in any class of service or business class passengers on a Lufthansa or Star Alliance flight. I was under the impression that the bath was no longer available once it turned into a J lounge. It was changed since the new FC Lounge at A13 opened with the introduction of the A-Plus concorse some years ago. Furthermore LH wanted to split the business class lounge usage onto to lounges. I worked in this lounge during university time and most appreciated the tarmac view in the quiet hours. Thanks Nils for your comment. I was denied using this lounge at the entrance when I was travelling to Tokyo on the LH C flight. The lady said this lounge is *only* for Schengen departing passengers only. Quite a disappointment.